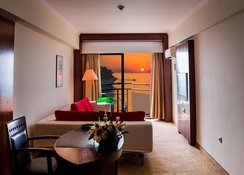 The elegant Derici Hotel is a 4-star complex that provides guests with their dream holiday in the resort of Kusadasi, on Turkey’s western Aegean coast. The hotel overlooks the wonderful bay, offering amazing views and an amazing location that ensures guests can make the most of every second of their time away. The hotel offers an impressive outdoor pool and an array of activities that are designed to keep guests busy. The tasteful rooms offer a great level of comfort and luxury while the on-site buffet restaurant is sure to cater to the needs of all. 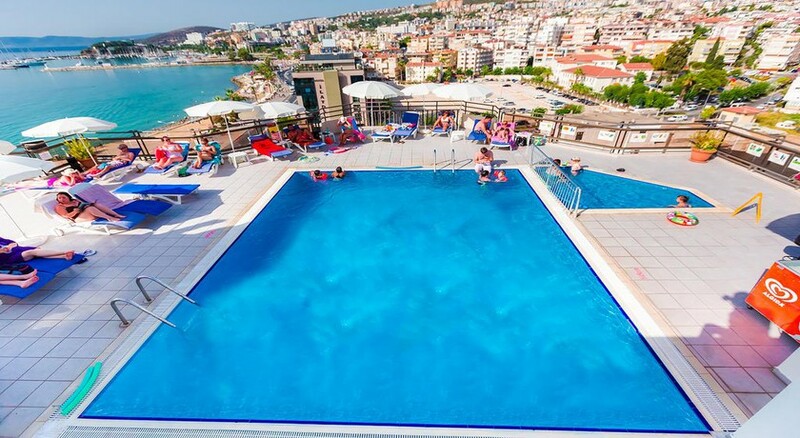 The Derici Hotel is within touching distance of many attractions as well as restaurants, shops, bars and stunning beaches. 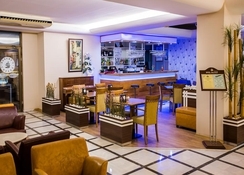 For those who want a hotel in a prime location then the Derici Hotel is perfectly located. The property is just a 10-minute stroll from the main beach and here guests can try their hand at watersports or they can choose to take things easy and sunbathe all day long. There is a shopping centre, bars and restaurants in the area as well as Adaland Aquapark and Kusadasi Castle. If guests are looking for a holiday in a prime location then this is the hotel for them. The airport is 125km from the hotel. The hotel consists of 87 stunning rooms in the form of Double Rooms, Triple Rooms, Suites and Junior Suites. The rooms are well-furnished and decorated to a very high standard, providing guests with a pleasant and comfortable stay. 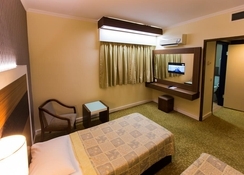 Each room comes with an array of features including air conditioning, satellite TV, safe, desk, wake-up services, sofa, luxury bedding, mini bar, spacious bathroom and a private balcony. Guests can dine in style at the on-site buffet restaurant. The lively, atmosphere and wonderful views provide a great dining experience. Here guests can sample a huge choice of dishes for breakfast and dinner including local and international dishes, ensuring that there is something for everyone. For those who want to dine at lunch, they can also make use of the a la carte restaurant where they can dine in style. However, if guests are looking for something different, then a short walk out of the complex will give them access to a huge choice of restaurants and bars that are ideal for families and couples. The outdoor pool is the place to take a relaxing dip before taking in the amazing views from the sun terrace. If guests like to keep active then they can try their hand at table tennis or even head into the fully-equipped gym, where they can find the latest equipment. The spa is the place to relax and unwind, with a sauna, steam room, jacuzzi and massages available. There are many beaches in the area offering water sports while there is an aqua park and a castle located within easy reach of the hotel. Honestly could not fault the staff or the hotel. Brilliant location. We arrived at midnight during the election campaign and the road outside was really busy making us think the room may be noisy as we had upgraded to a seaview. This was not the case we never heard a thing once the patio door was closed and the view was amazing. All staff from reception, housekeepers and waiting on staff were friendly and really helpful.